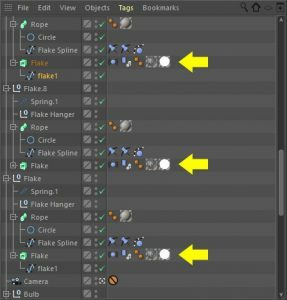 Have you ever rendered out your final animation only to realize you forgot to enable the object buffer pass? 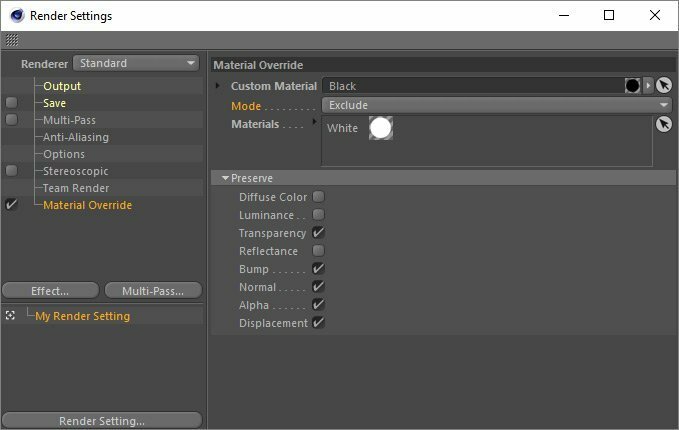 Before Cinema 4D R17, you would have had to change all the object materials in your scene to pure black, disable all lights, then set the objects that you want as a matte to pure white. 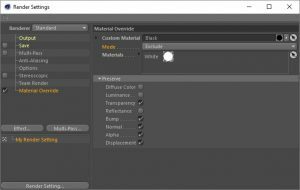 With R17 and above, it’s very easy to create object buffers with the new Material Override system. 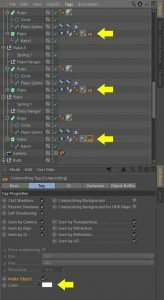 The first thing to do is define which objects in your scene will be the object buffers. These will be rendered as pure white. There are two ways to do this. 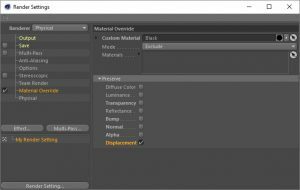 In case you have objects in your scene that need Displacement, you can leave this enabled. You can also turn off Ambient Occlusion, or any other special render effects you might have enabled. 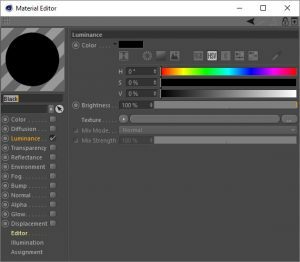 You shouldn’t need to worry about disabling any lights in your scene, since only setting our black color in the Luminance channel basically ignores receiving lights, shadows, reflections, etc. 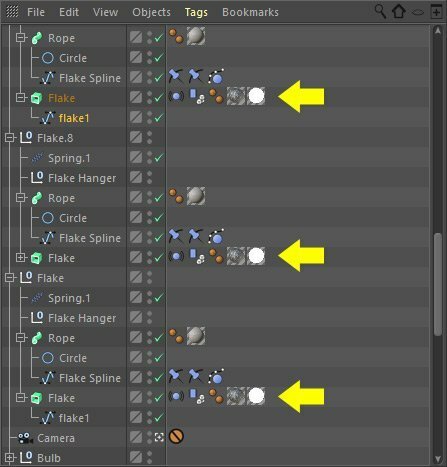 If you’ve got depth of field or motion blur in your scene, you can leave these enabled. That’s it! The rest is pretty much up to you. 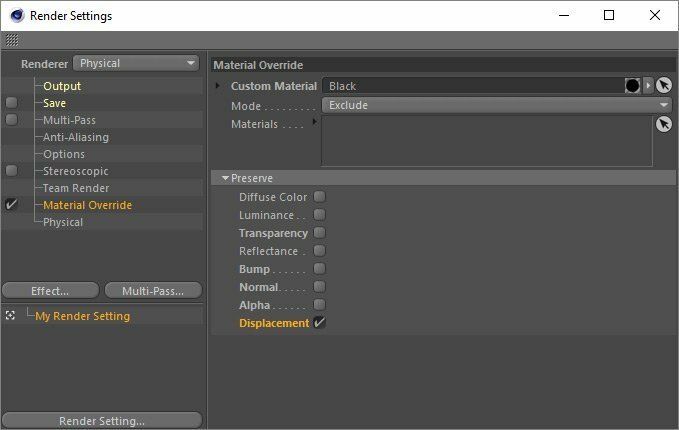 Set your desired frame range, save as a PNG sequence without alpha, etc. 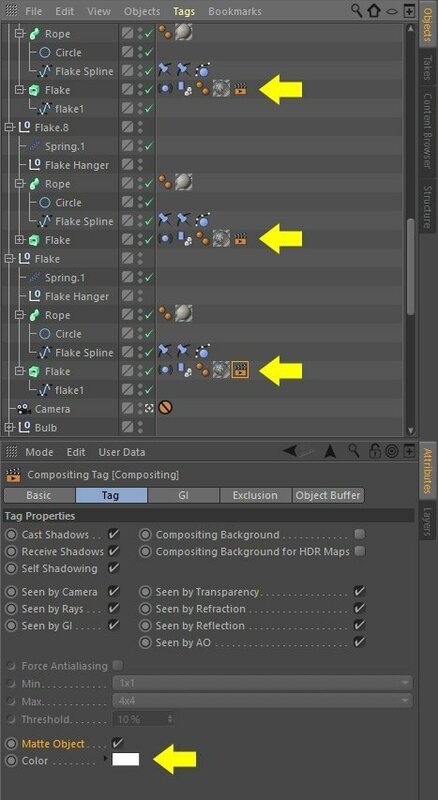 It should render very quickly, since Cinema doesn’t have to worry about calculating reflections, transparency, etc. For any questions or concerns, please use the comments section below. It is Cinema 4D. 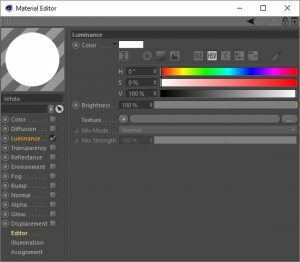 Do you have a subscription to Adobe Creative Cloud? If so, it comes with a “light” version of Cinema.